Watusi is a control center Cydia tweak that allows you to bring all the enhancements that you feel are missing from WhatsApp. From hiding the last seen at WhatsApp to disabling typing indicator. Here I have discussed some of the unique features of Watusi Cydia tweak and what all you can add to your WhatsApp that make your texting experience more better. Also see - Fake a call on iPhone. My Contacts Privacy - This feature provides you advanced privacy options. 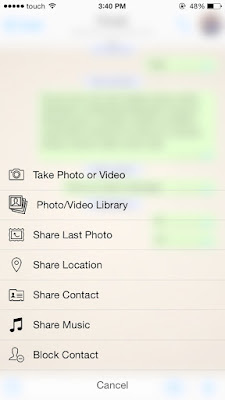 You can hide your profile picture, last seen and status from your contacts. 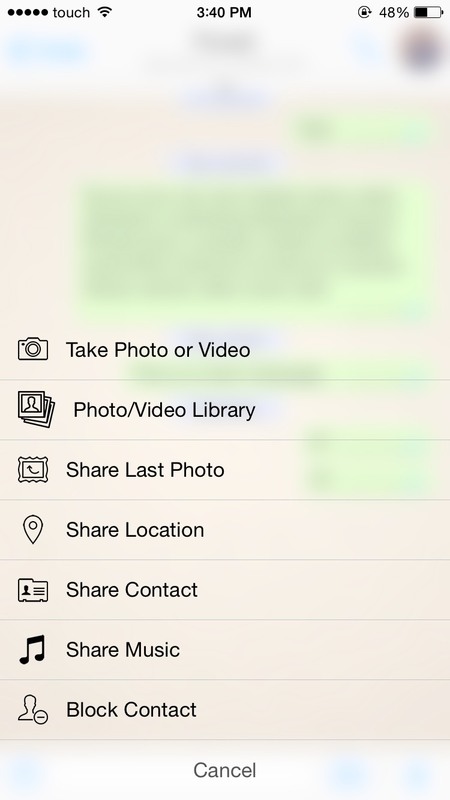 Your selected contacts will then be blocked from seeing your status/profile/last seen. 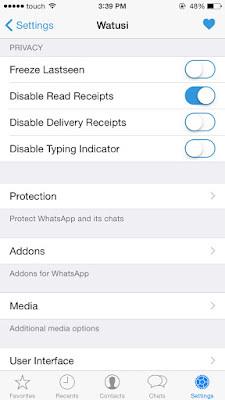 For this you have to set "My Contacts" in WhatsApp privacy settings. 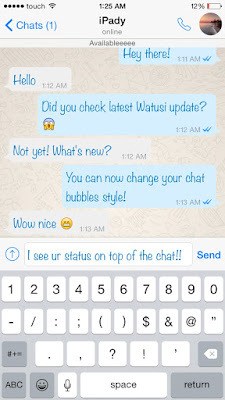 Hide Last Seen - As the name suggests Watusi allows you to hide your last seen in WhatsApp. No one will be able to know when you last opened your WhatsApp. But you will also not be able to see others last seen or if they are online. The last seen function is itself shutoff. Disable Delivery Receipts - This is again a privacy feature of Watusi that allows you to hide message received notification. Your contacts will not be able to know whether your received their messages.You will not receive any notifications for new messages when WhatsApp is in background or closed. This is a way can e used to block repeated notifications. Group Members Picture - This is a cool addon that comes with Watusi. It allows you to see group members picture next to their message in a group chat. So if you have two "John" in the group you will never be confused. Call Recorder - You can record all the WhatsApp calls. All incoming and outgoing calls will be recorded. You can see the recordings in the recent tab. Moreover Watusi allows you to share any segment of your recordings. Notification Name - It allows you to replace contacts name on notification with the name you saved in your contact list. Increase Status Length - Using Watusi you can write WhatsApp status of length over 256 characters instead of 139 characters that is present by default. Enable WhatsApp Web - Watusi enables WhatsApp web for you. 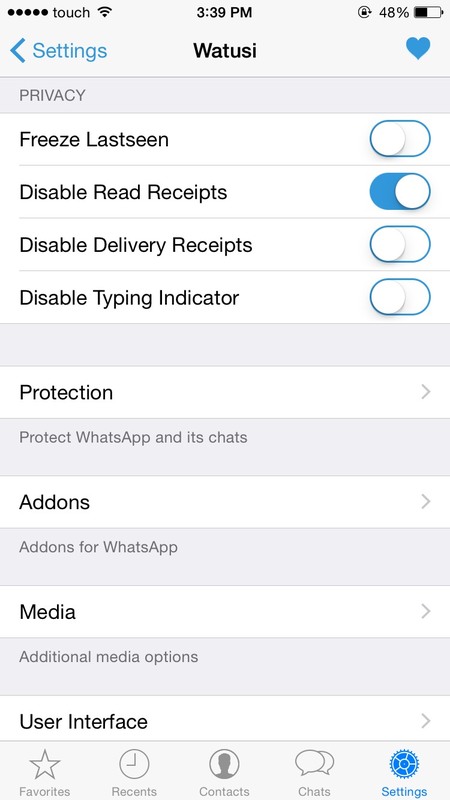 You can configure it from WhatsApp settings. Replace Return Key - This feature of Watusi allows you to replace the return key in chat text field with send button. In App Browser - After installing Watusi you can open links and URLs sent by your friends in WhatsApp only. No need to open Safari again and again. Ultimate Protection - Watusi provides you not only additional features but also provides ultimate protection. It locks on chats and conversations. Hides last message on all locked chats and conversations. Also see - Lockdown Pro Cydia app that provides password protection to iPhone apps. Customizing Options - Watusi WhatsApp Cydia tweak serves allot of customizing options. You can change the font and color of text in chat, change text size and URL color. Many other options such as disabling landscape view, hiding camera button, full screen mode, send latest photo in camera roll etc. are also present in Watusi. For photo sharing you can also use Airblue sharing for iOS 9 that facilitates iPhone bluetooth file transfer. All in all Watusi will offers whatever you feel in needed in WhatsApp and sometimes more than that. 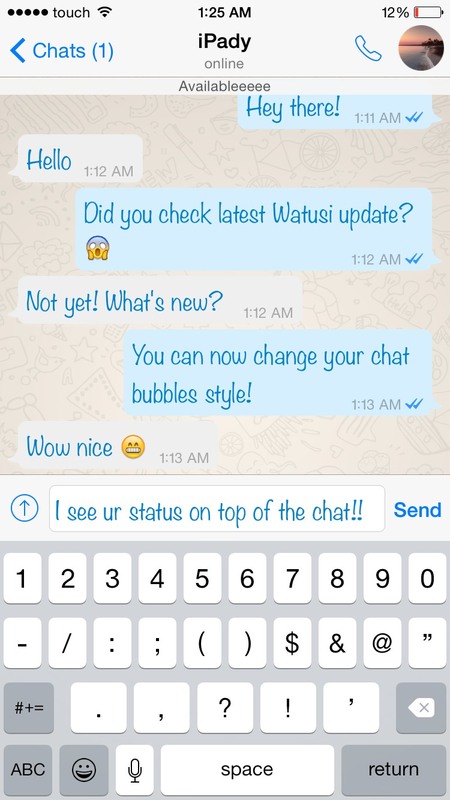 Below are the steps on how you can download Watusi WhatsApp Cydia tweak. Step 1 - Open Cydia from your iPhone's homescreen. Step 2 - In the search bar, search for Watusi. Tap on the search result and check if the Watusi version is you tapped is compatible with iOS 9. If not tap the other version. Step 3 - Download the compatible version by click the install button on the left. Watusi WhatsApp Cydia tweak is now successfully installed on your iOS 9. Just exploit all the features to its fullest and make your WhatApp the best text messenger ever. Also check out the best iOS 9 control center Cydia tweaks that enhances your control over iPhone's control center.